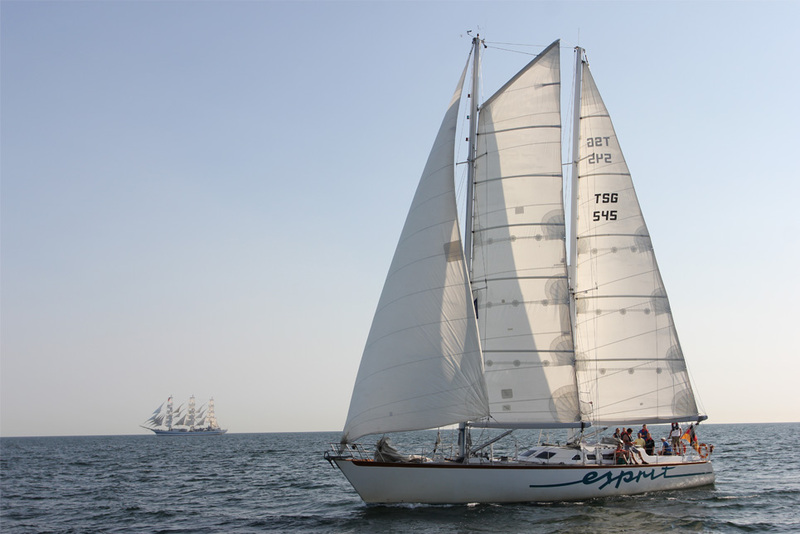 Esprit is a cold moulded wooden boat with a modern schooner rig, gaff fore and Bermuda main. 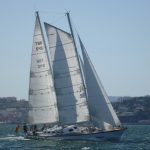 She was built at the Bremer Bootsbau Vegesack GmbH (BBV) Shipyard in Bremen in 1995 and honoured in 1997 for her work promoting international understanding sailing with 50:50 German and English crew, winning the Cutty Sark Trophy. 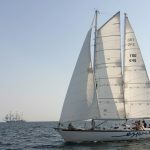 Since then Esprit has sailed as a sail training vessel between Canada and Russia in the Baltic, taking part in all European Tall Ships Races and every leg of Tall Ships 2000. Esprit is owned by the JKW JugendKutterWerk Bremen e.V. 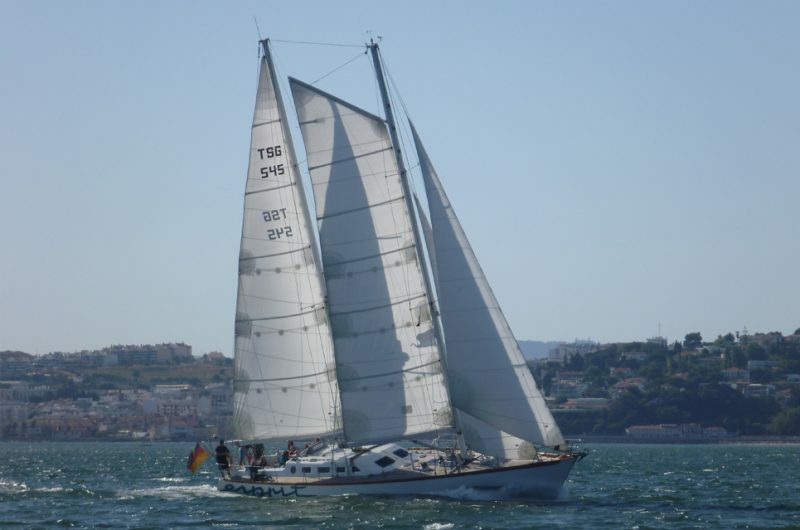 Esprit is a modern and fast vessel with a traditional rigg and a wooden hull. It has two masts , which makes the rigg very interesting and variable. 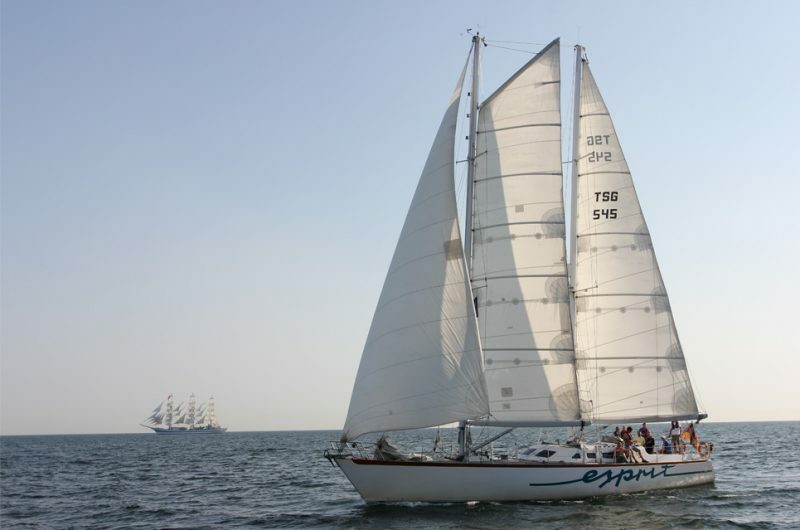 Esprit is doing sail training and the trainees are learning a lot during the trips. Esprit also stands for fun and teamwork during the tall ships races and a intensive network to other vessels.